A sermon preached at St. Andrew's On-the-Sound Episcopal Church in Wilmington, NC on June 30, 2013. The texts were 2 Kings 2:1-2, 6-14 and Luke 9:51-62. When I found out I would be returning to Wilmington and serving in this city again, it dawned on me that I wouldn’t really be suffering for Jesus. 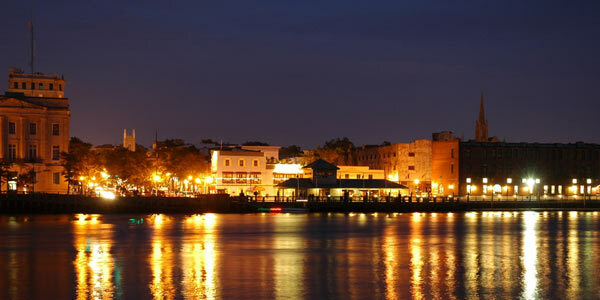 A beautiful riverscape, wonderful restaurants, and of course the sounds of the sea and the feeling of sand under my feet. What a fabulous, absolutely fabulous place to live. But, suffering for Jesus, this is not. I know of people living on the mission field, among the tribal people of Sudan, or working in the underground house church movement in China. Of men and women who have been cut off by their families for leaving a former faith and embracing Christ. I admire the monks and nuns who have forsaken the normal comforts of life and embraced the simple, common life of the monastery, and the martyrs of the faith who gave up their very lives in their service of Jesus. 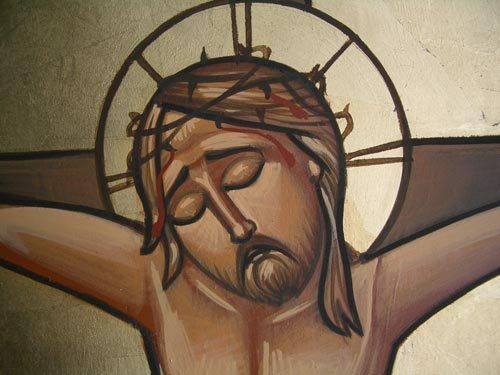 And as I reflect on these holy women and holy men who have lost something, or given something up, or bear upon their bodies wounds suffered for Jesus, it makes me wonder if it has ever actually cost me anything to follow Jesus. Surely, I’ve grown as a Christian, abandoning harmful passions, or learning what it means to not indulge in unhealthy desires. I can tell that I’m the better person for having committed my life to Jesus Christ, but I’m not sure it has actually cost me anything. 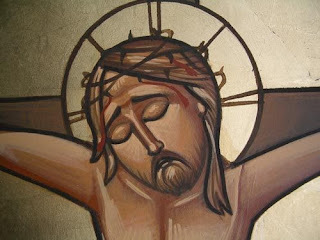 What have I given up for Jesus, truly given up in the sense that, once gone, I feel its loss? What has been taken from me in this journey of discipleship other than desires of my heart that aren’t really worth much anyhow? Has it actually cost me something to follow the voice of the LORD? It certainly cost Elisha something in his journey to becoming the LORD’s prophet. Elisha was always faithful to his teacher, Elijah. When Elijah was approaching his own transition from this life to the next, Elisha refused to stay in one place, even at the command of his teacher. Faithful to a fault, I suppose. At each moment of the journey, Elijah would declare his next location and, like a dutiful companion, Elisha would declare, “As the LORD lives, and as you yourself live, I will not leave you.” His great love and obedience to his master simply wouldn’t allow him to stay put, to stay behind as Elijah journeyed to where he was going to meet the LORD in a whirlwind. I can understand and appreciate Elisha’s commitment. I would walk to the ends of the earth and back for some of my dearest friends, and even more for my wife and son. I can’t think of abandoning them, not out of an inflated sense of heroism, but simply because my deep love wouldn’t allow me to stay away. So I admire Elisha’s commitment. But it’s precisely his commitment that leads him to a moment of confrontation, of great testing. Before the whirlwind came to take Elijah away, he graciously asked Elisha if there was anything left he could do before ascending upwards. 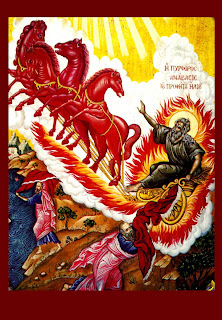 And Elisha’s response indicates a great zeal for the LORD and the LORD’s anointing: “Please let me inherit a double share of your spirit.” Elisha desires the prophetic anointing he has borne witness to, for he knows that his journey as Elijah’s servant will lead him to be a prophet himself. But, as with all prophetic ministry, this calling must come with a blessing, an anointing. But the calling also comes with a cost. Elijah’s response: “You have asked a hard thing; yet if you see me as I am being taken from you, it Will be granted you; if not, it will not.” And just like that, Elisha’s foundation begins to quake. Only if he bears witness to the very real loss of his teacher will he receive this blessing. The blessing is not to be conferred without disruption, or without a cost. Only if he is present when Elijah is taken from him will he be blessed. And his presence at Elijah’s ascension, which guarantees him a prophetic double portion, shakes him to the core. Cowering in fear, Elisha began crying out “Father, father! The chariots of Israel and its horsemen!” This army was last seen waging a war on King Ahab in 1 Kings, and it was this army that came to claim Elijah. This doesn’t mean that Elijah was the LORD’s enemy, but could you imagine seeing your teacher, your friend carried away by the servants of the LORD that last came to wage war on a wicked king? The fear and the frustration, the confusion. Elisha’s blessing came at the cost of seeing his teacher taken away by the army of the LORD, and faithfully bearing witness to this loss, he became the prophet of the LORD. And even in the midst of his first act as the prophet of the LORD, splitting the water with Elijah’s mantle, he tore his clothes and cried out in the midst of his faithfullness to God: “Where is the LORD, the God of Elijah?” His faithfulness to the LORD was still present, even as he now faced his journey without the companionship of his friend and teacher. It’s this hard task of giving up things we love and hold so dearly that makes the journey of faith a difficult one. And Jesus’ hard words in the Gospel of Luke don’t offer much consolation. Like Elijah, Jesus is journeying towards his moment of glorification, the moment where he will be lifted up on a cross to redeem the peoples and nations of the world. Luke uses a wonderful phrase, ‘He set his face to go to Jerusalem’ to describe Jesus’ resolve. Here is a man who knows what he is being called to do. He is faithful even in the face of his death, and he walks towards that encounter with the brokenness of the world with his face set forward. No looking back. No looking from side to side to find something to distract him or allow him a detour on his own path of obedience to God. Jesus is marching on towards Jerusalem as faithfully as he can. Every time I hear this passage, I still find myself being surprised at the toughness, the starkness of his statement. “I know you want to bury your father, but the time is now for preaching the kingdom. Nothing, not even basic family affairs should get in the way. Now is the time.” On the surface, its terrible pastoral care, I think, but it speaks to the intensity of the life of discipleship, an intensity that, quite honestly, I don’t always measure up to or want to abide by. Finally he lays it out clearly to the third would-be disciple who wants to tend to family affairs: “No one who puts a hand to the plow and looks back is fit for the kingdom of God.” Jesus, the man with the ‘set face', makes it plain. You can’t look backwards. You just can’t. Not being able to look backwards has all sorts of implications for the life of the disciple. In baptism, we are buried with Christ and raised to walk in the newness of life. Every Christian will hear the call of Christ differently, and will discern individually what it means to walk as Jesus did, with a face set forward. This morning, I can’t give you a list of three or four things to do in order to make sure your life is looking forward, not backward. 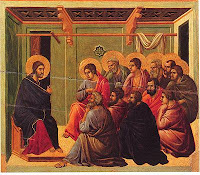 But even in our different understandings of the personal call of discipleship we are hearing, we all must answer the larger question with honesty and integrity: How could we possibly consider going back to living the old life, the life that was put to death? Elisha endured the loss of his great teacher, his friend, in order to follow the LORD’s call to be the next prophet. Jesus spoke as clearly as he could to the would-be disciples that weren’t quite up to the challenge of abandoning the normalcy of their lives in order to usher in the reign of God alongside of Jesus. And here, this morning, the Spirit is speaking to us, asking us to consider what it would mean to abandon what’s holding us back in the pursuit of following Jesus. Sometimes the Gospel comes to us as a word of comfort, of hope. But sometimes, the way for the Good News to truly be good is to come to us as a provocation, as a call to live more deeply into the mystery that is following Jesus. How will you answer the Gospel’s challenge?